DIMENSIONAL COMBAT is a prophetic, Scriptural revelation for Yahushua’s End-Time Bride. Today more than ever the enemies of Messiah gain access to our children and loved ones through satanically-infused movies and TV, social media programming, schools and even churches - it’s time to armor up with Scriptural Gifts of Dimensional Weaponry! But what exactly is DIMENSIONAL COMBAT and the Armour of Light? How do we gain access to heavenly and angelic realms to safely bring down diabolical fortifications of wicked, evil strongmen and principalities in high places? In this riveting 2-hour DVD Teaching, Dr. William Schnoebelen shares spiritual treasures once known to Abraham, Moses, Joshua, Joseph, David, Rebekkah, Deborah, and Miriam so you can wield Heaven’s supernatural weapons in the battles YOU face every day - and every night. Start occupying the enemy’s gates and stand in Yahuwah’s dimensional realms! 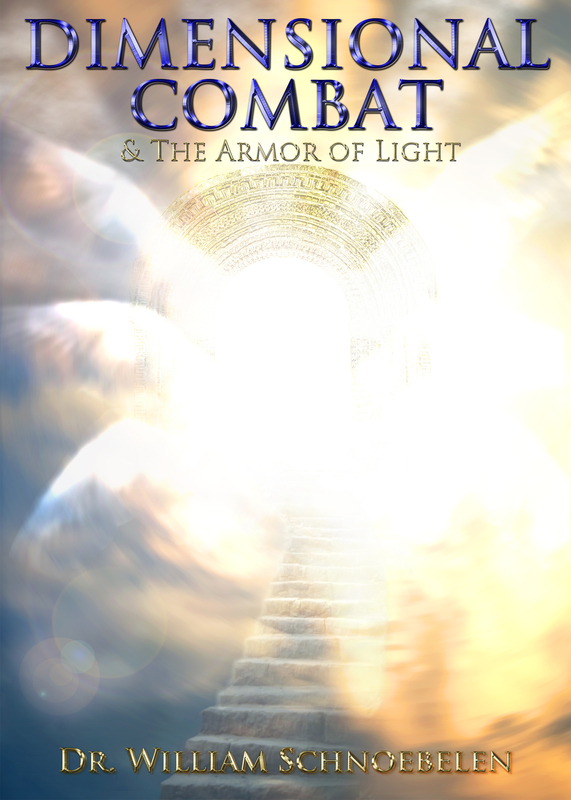 This advanced Spiritual Warfare teaching will help you and your congregation understand what Heavenly Gates are, how to pray for Set-Apart anointings and access those gates during Spiritual Battle, understand the dynamics of true prophetic dreams, and teach you how to equip yourself to climb Jacob’s Ladder to the Throne of Yahushua Messiah through DIMENSIONAL COMBAT!